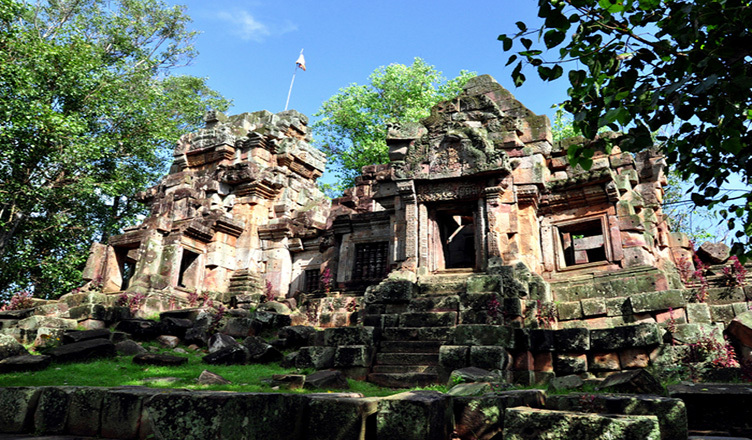 Ek Phnom is a cultural tourist destination incorporating an ancient temple called Prasath Ek Phnom. It is located in Takum Village, Peam Ek Commune, Ek Phnom District, and is approximately 12 km from Battambang Provincial Hall. 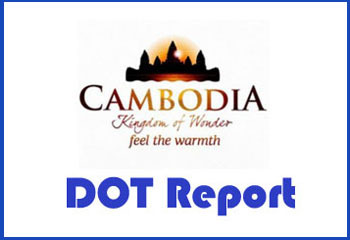 Visitors can travel from Battambang Provincial Town northwards on Road P156 along the Steung Sangke River across Don Tiev Market, and then turn right along a creek which leads to the temple. It takes 20 minutes by cars or motorbike. The resort of Eke Phnom is easily accessible by visitors of all ages. A road surrounds it. Beautiful lotus and water lily growing in the ditches welcome visitors. There is a pagoda on the grounds where people like to gather for various traditional Khmer festive activities. From the village of Kdol Donteav, there are two roads running parallel with a creek, on either side of which green vegetation grows. Many arched bridges are built across the creek. There is a pond on the west corner of the temple. In the rainy season, visitors can see a beautiful view of fields in which rice grows in competition with the rising floods.